The president of the Spanish government, Mariano Rajoy, “will receive and read with utmost attention”, when it arrives, the letter from Catalan President Artur Mas, which will ask that a referendum on independence be held in Catalonia. That’s what Rajoy said in a conversation without microphones with journalists in the hallways of the Spanish Congress. At any rate, he will not make any declarations about the format of the response that he will give, if any. He also said that he would have preferred that there not be a photograph of the Camp Nou full of people in favor of independence. Mariano Rajoy doesn’t want to give any advance notice or add any new elements to the debate on the referendum in Catalonia, and will wait for Artur Mas’ letter to get to him—in which five possible ways of celebrating a referendum will be described—in order to decide what kind of response he will give to the Catalan President’s petition. 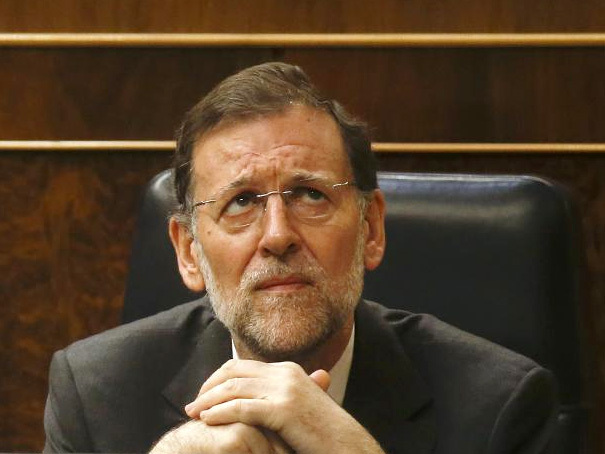 According to his comments, Rajoy will first “receive” the letter and then he will “read it with utmost attention”.